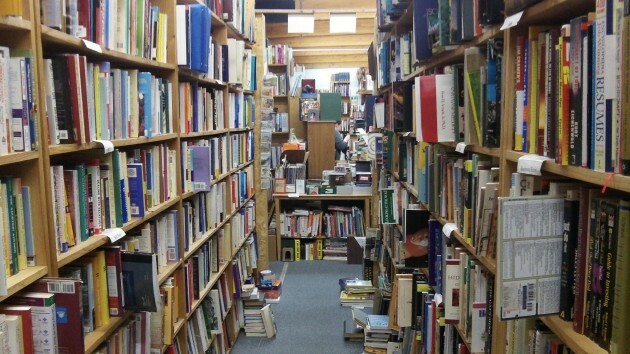 For businesses like this paradise for book lovers, the wage law is a “devastating” problem. “Oregon’s new minimum wage will create ‘tough choices’ for public universities,” the Oregonian laments in a headline. No kidding. But the choices it creates for the private sector are tougher still. The Portland paper’s story points out that the Democrats’ successful push for a jump in the minimum wage, starting this July with a $1,040-a-year boost per full-time worker, will be a problem for Oregon State and the other public universities that hire a lot of students. The colleges will likely get rid of many of those student workers in order to pay the rest more. Their other choices are to raise tuition even more than planned, or to get rid of part of the bloat in their administrative overhead. But if the choice is between letting go some cafeteria helpers or the latest additions to the office of inclusion and diversity, you know who is going to get the ax. All of that is no news to the majority Democrats who enacted the wage hike. So why a headline now, after the legislature adjourns? There are no headlines yet about what is going to happen all over the state to small business. But you get the idea from, for example, the online newsletter of Browsers’ Bookstore in Albany and Corvallis. The Oregonian Editorial Page is a shill for ultra-conservatives. Much better off to stick with the legit news. The universities aren’t going to quit hiring students for work study. It appears Mr. Givens and some hiring managers at the universities understand the concept. But Bob? Not so much…. Gordon, you are truly clueless. First, work study jobs in college have been federally subsidized for decades and they’re not going away. As far as Pro. Walter Williams statement, only an idiot would fail to understand that paying a worker $5.10 for $5.00 in production is dumb. No capitalist of any salt pays people more that their production value.The issue isn’t what the minimum wage is, it’s what the differential is between the cost of labor and the additional value produced. And the real issue is why we, the people, should keep subsidizing businesses who insist on paying wages that keep people in poverty. You hate subsidies, you’ve said that a bazillion times. But you also hate government requiring businesses pay a minimum wage so that people don’t have to live in poverty. Gordon Shadle: The defender of the duty to be abjectly poor so that others might get rich. With the very acerbic hyperbole being bandied about, should we take bets that Oregon will be an employment wasteland by 2022? Ray. do you remember the unemployment numbers in 2007 2008 and 2009 you know maybe it was the reason that Oregon didn’t come back as quickly as others..